DEBO BAND: From Boston, this nine-piece Ethio groove-collective, blends voices, horns, strings and accordion to recreate classic Ethiopian music that echoes back to the big bands of Haile Selassie’s time while also remaining of-the-moment with fresh, new arrangements of contemporary and original material. ABYSSINIAN ROOTS: Assembled by the Batuki Music Society, dedicated to the promotion of African music, this unique ensemble, featuring some of the hottest expatriates coming out of Addis Ababa’s nightclub and culture scene, paints a vibrant portrait of Ethiopian musical forms: the monochord music of the ‘Azmaris;’ the pentatonic and varied regional sounds; and the hybrid Ethio-jazz. Saba will be performing alongside Abyssinian Roots. 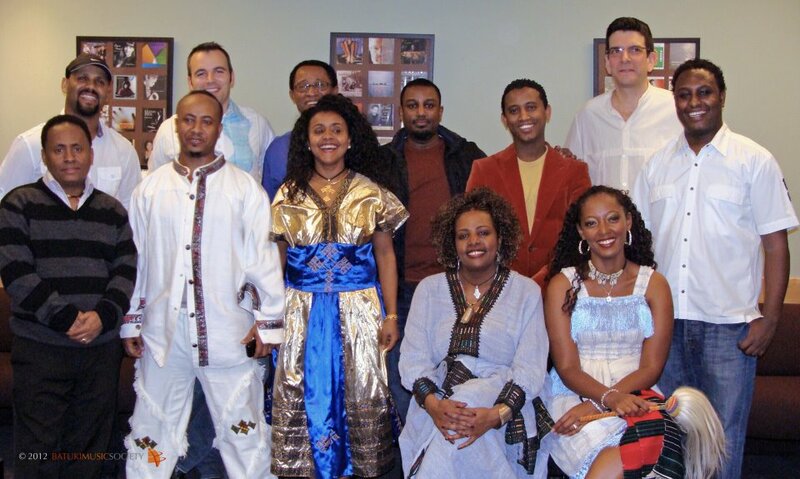 Also for those of you that missed the last Abyssinian Roots concert at Ethiopia a Musical Perspective concert at CBC Glen Gould for Black History Month, this is your chance to see us again so don’t miss it.